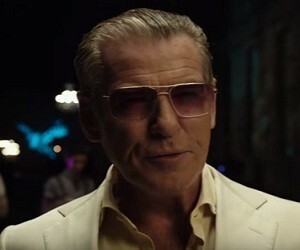 Pierce Brosnan becomes a drug peddler in the upcoming American thriller Urge, directed by Aaron Kaufman. The former 007 star inhabits the character of Daemon Sloane, a mysterious nightclub owner who gives a group of four friends a new drug called Urge, that makes them lose all their inhibitions. Thus, their weekend getaway on a tropical island destination turns out into a nightmare. The film, starring also Ashley Greene, Justin Chatwin, Bar Paly, Alexis Knapp, Chris Geere, Nick Thune, Danny Masterson and Kea Ho, is scheduled to be released on June 3, 2016, in a limited release and through video on demand.